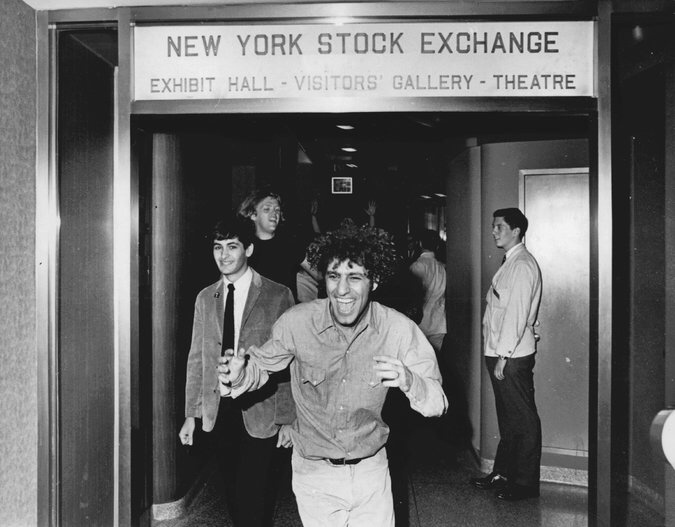 On August 24, 1967, fifty years ago today, Abbie Hoffman and a group of friends invaded the heart of American capitalism, the New York Stock Exchange on Wall Street. They threw money from the visitors’ gallery onto the floor, and the brokers and traders there leapt into the air to grab the dollar bills floating down. Trading was interrupted, briefly. News coverage was massive. . . .